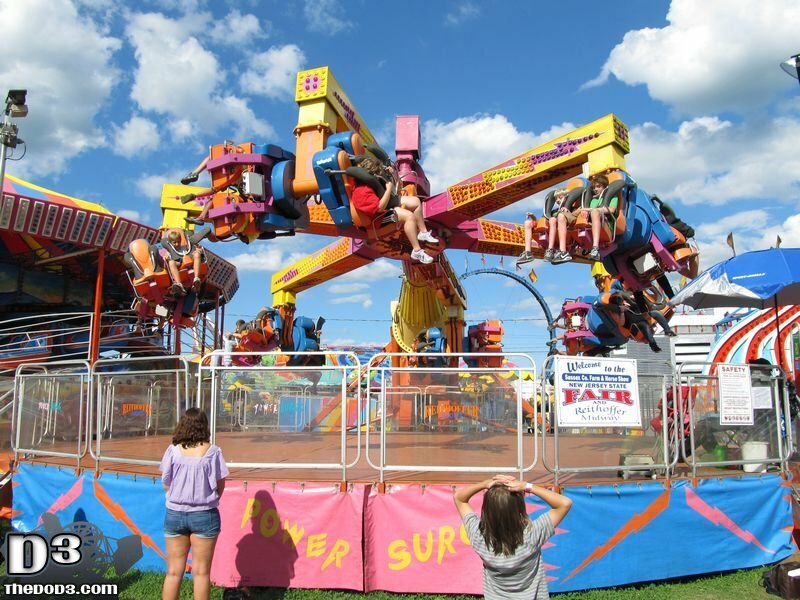 Power Surge is a completely original ride by Zamperla, a company that is well known for making variations of existing rides along with kiddie rides. Not only is Power Surge an original ride, but a pretty wild creation in its own right. Power Surge consists of a large, six armed claw with 12, two person seats on the ends, one on each side of the arm. The seats are able to freely flip horizontally. The claw is attached to a long support that can rise up to a steep angle. 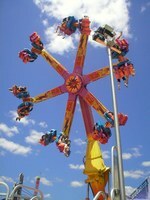 The support holding the claw can rotate, adding a third rotation to the ride. Once everyone is in, the support arm begins to rise into the air. As it rises the claw begins to spin at a moderate speed. 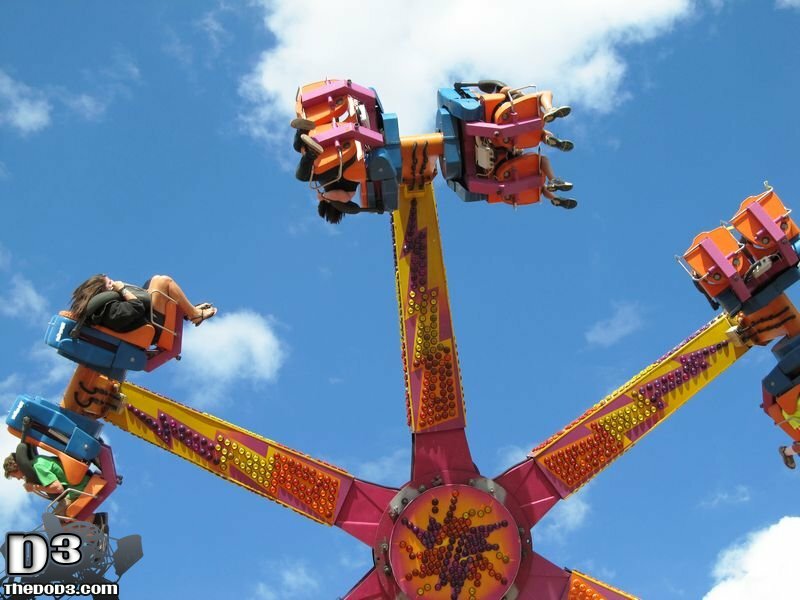 Once at it’s top height, the seats are thrown off balance enough to complete flips. The support arm then begins to rotate, sending the claw around in circles. The combined motion of everything isn’t exactly disorienting but the cars flip like crazy due to it. Sometimes the car will even hang upsidedown for prolonged amounts of time. Power Surge is occasionally seen traveling around in the United States. 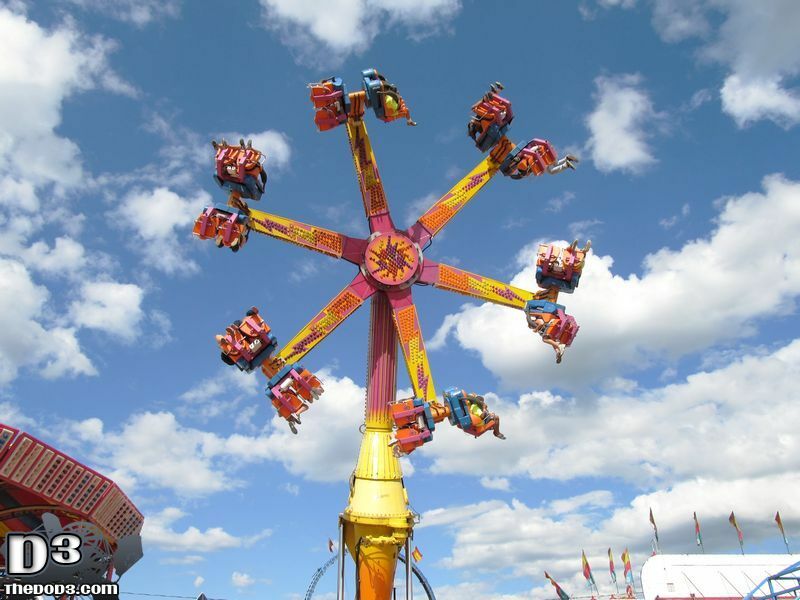 Some places that I know have or have had Power Surge are Astroland, Knoebels, Casino Pier in Seaside Heights, NJ and a traveling one with Reithoffer Shows. 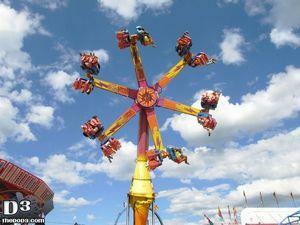 When lowering the arm at the end of the ride, the seats will typically lock at a certain height. Whatever position the seats are in is the position they will stay until the ride operator gets around to them. I’ve seen seats stuck nearly upsidedown until the ride operator hits a switch behind the seats. Heck, I’ve been stuck upsidedown for a length of time before the ride operator decided to unlock my seat. I have a feeling they did that on purpose…I know I would! 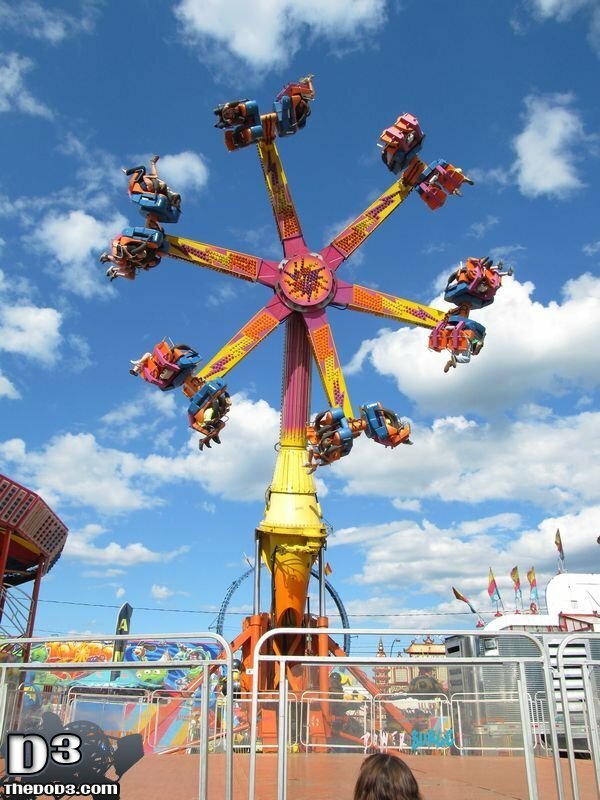 Hey Dave, when the Power Surge was at Casino Pier in Seaside Heights New Jersey, I made a bet with the ride operator that I could ride this over 100 times for the summer season. He took me up on that and got me on the ride when there was seats available. Sure enough I was successful in doing over 100 times. I seen this last summer at the fair in Columbus, Kansas.